One trend that I've loved fir the past few years is the poncho trend. they typically come at a great price point and they completely change the look of an outfit, makes me feel so cozy and chic at the same time. I got this one at Chicwish for full price, but now are under $40. 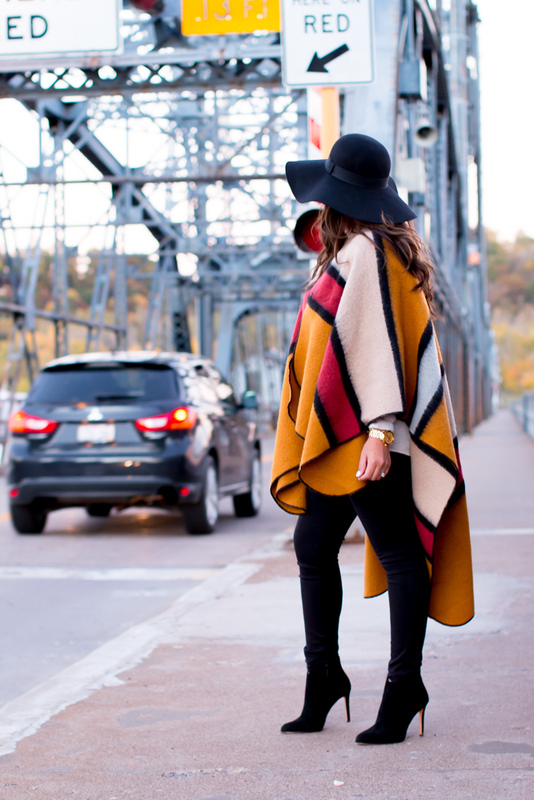 (worth the money), there are many ways to style your poncho for fall and winter, from street to femenine and classic. I just can get enough, this poncho its long in the back so you can wear it with leggings too..